The Black 'Milan' Tailcoat by Classic Collection features a satin peak lapel, six button front, self top collar, rounded tails, and is fashioned from Tropical Worsted Wool. Before there was the tuxedo, there was the tailcoat. 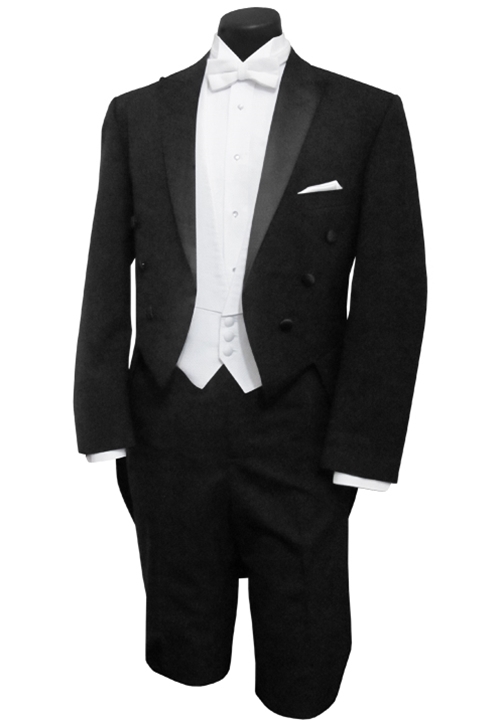 And no other tailcoat is truer to White Tie standards than a black peak tailcoat with 6 button front! This tailcoat line includes almost identical tailcoats from several manufacturers, primarily After Six and Raffinati.